Please join us at our Coventry Arthritis Action Group where Ruth Smith, Area Coordinator at Arthritis Action will be talking about and sharing Arthritis Action’s Online Self Management Resources. 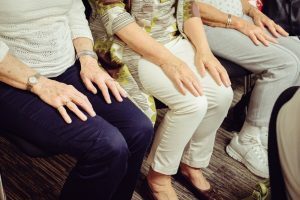 Our next Coventry Arthritis Action Group will provide the opportunity to meet others living in your area with arthritis, share hints and tips and to let us know what you would like to gain from the Self-Management Approach. Interested? Please call us now on 0203 781 7120 – or email us: info@arthritisaction.org.uk to reserve your place.